Participatory learning a prerequisite to 21st century teaching? This is the introductory section of an article I’m writing for Synergy, the publication of the School Library Association of Victoria. I’m sharing this section before I consolidate the second, more practical, half of the article. Feedback, ideas and opposing viewpoints are welcome in the comments section of this post. Twitter and participatory learning – how relevant are they to teachers and students? New technologies have created opportunities for participatory learning for students and new, connected ways for teachers to access professional development. 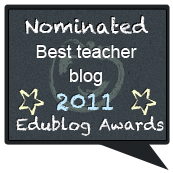 Some of these, such as blogs and wikis, are suitable as learning platforms for students of all ages. Twitter is one of the most powerful tools in terms of instant accessibility to huge numbers of people, but it is one of the most challenging to set up to work effectively. I would suggest that Twitter is a tool most suited to teachers and senior secondary or tertiary students. The internet has changed the learning environment dramatically. As a result we have changed the way we think about information – how we locate it, how we organise it or remix it, and how we share it. Wherever we are, whenever we want to, we can use our smartphones to find information because the internet has transformed our phones into powerful and mobile information devices. Furthermore, technological tools have changed how we think and how we interact. An example of this is the texting facility on mobile phones which has been adopted by young people as a dominant way of communicating, frequently replacing the speaking option. Technology does not merely add to existing ways of functioning – it changes our social practices. Through social media we go a step further to connect to others in a new culture of communicating and learning. Our learning environment may be in a constant state of change but one factor is constant – the fact that learning is now participatory. As educators, we should be constantly evaluating our teaching methods by asking ourselves what constitutes effective learning in the changing environment of our students and their futures – an environment driven by digital technologies and social media. We have the opportunity to think about innovative approaches to learning and teaching especially when our students’ learning can extend beyond the textbook and classroom. How motivated we are, as educators, to find new and innovative approaches to teaching will depend on a range of factors – one of which is whether we realise and appreciate the potential of digital technologies for relational learning, for example, when we see opportunities in our daily lives for the connective potential of social media. When we understand the value of social networks in our own lives, we will be able to translate this potential into the educational environment. In a recent blog post, What’s in a selfie, Tom Whitby (2014) discusses the recent news about Ellen DeGeneres’ massively retweeted photo of a group of actors at the Oscars to highlight the power of social media, and to urge educators to harness this connective potential. Well, if you watched the Academy Awards last week, you witnessed the global impact that social media has in the world. Ellen DeGeneres was able to take a picture of a group of actors that, in the first half hour of it being posted, was re-tweeted 700,000 times, which temporarily knocked Twitter off the Internet. It has now become the number one tweet of all time. What does any of this have to do with education? The idea that social media gives us a platform to send out information and have people interact with it, or just digest it, would seem to be an idea that would be snapped up and embraced by educators. They are the very people who make a living trying to get folks to get information and interact with it, or just digest it. Imagine if every teacher shared just one of their best sources with other educators, who in turn could tweet them out to the tune of 700,000 tweets in a half hour. Everyone would benefit. The idea here is to get educators familiar with the concept of connectedness and its possibilities, so that getting comfortable with social media itself becomes less of an obstacle. Social Media is here to stay. Its form may change, and certainly the applications we use will not remain the same, but the idea of openly exchanging information in whatever forms it is produced is not going away. As educators we can use it or lose it. If we don’t start to understand and use this technology soon, we will lose the opportunity to harness it, because we will be irrelevant. We don’t need social media to teach, as much as we need it to learn. It is concerning when educators who do not use connective technologies in their private or professional lives turn their backs on innovative educational practices made possible using new technologies. We should not determine our professional practice according to our personal preferences; we must remember that we are educating our students for their future, and we owe it to them to be well versed in the participatory culture of social networks. Examples of new participatory learning environments include social bookmarking tools such as Diigo and Delicious; online communities such as Facebook groups, Google+ groups and wikis; image based platforms such as Pinterest and Tumblr; magazine-like RSS tools such as Feedly and Flipboard; book-based online communities such as Goodreads, and many more. One of the most powerful social networks used in the field of education is Twitter. Twitter is not the easiest of social media to understand – in fact it takes time and perseverance to reach the stage where you are convinced of its value. 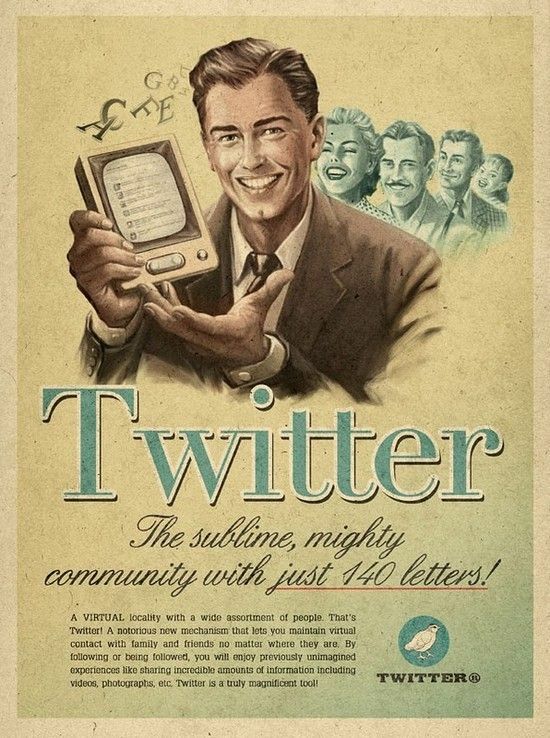 While trawling back through my blog posts to ascertain how long it took me to feel at home in the Twitter network, I was surprised by how long I had indeed been a Twitter user, and realised that, while it was now second nature for me to tweet daily, it was some time before it began to make sense to me. My archived posts have captured my reactions and reflections which may otherwise have been forgotten. Twitter I’ve only recently added to my online life (told you I was a latecomer), and I still feel like an outsider there, posting the odd tweet in the hope of being heard, of being accepted into a conversation. Mobile computing is not part of my diet yet, and that may change in the future if I reinvent my commitment to the latest technology. I don’t have that mania for a daily post as perhaps I did in the past. I’ve allowed various social networking and microblogging outlets to soak up a range of smaller spontaneous thoughts. The hardest part, for me, was to connect to a meaningful network, and that always requires initial hard work and staying power. A little like developing readership and comments for blogs. Once you do that, the rewards are apparent. Previously, I subscribed to a teacher librarian network, ‘oztl_net’, and that worked well for a time, but the advantages of Twitter are the global connection, the updated status which connects to the person in real time, the fantastic stream of links, the fluid conversation. The first thing Mike Wilson did after surviving the Continental Airlines 737 crash when his plane slid off the runway in Denver was use his mobile phone to update his Twitter community. A dedicated microblogger or …? Whatever he is, he has now made history as the first person to tweet a plane crash directly after an accident. Twitter might be the up and coming way to communicate after trauma. I think psychologists may eventually decide that sharing directly after a traumatic experience decreases shock or at least somehow alleviates stress. Sitting on the couch earlier this evening, I felt a strange sensation of moving with the couch, as the bookshelf behind me creaked. Melbourne had experienced a light earthquake. Did it happen or did I imagine it? After a while I tweeted it in the form of a question, hoping to ascertain whether it really happened or not. Sure enough, Twitter exploded with tweets registering similar experiences. Meanwhile, the TV was on, but no news about an earthquake. Look at ABC newsonline – nothing. Channel 7 Breaking News remained unbroken – just a repeat of the stories that had been broadcast several times already this evening. Gradually, traditional news providers came on board. Channel 7 finally acknowledged the quake at 10.27 pm. Very slow, considering John Connell had already completed a post about the Melbourne quake from Scotland. Here it is, and he has an image of the first 18 twitterers – I’m there on the right. I would have been quicker but my laptop was doing its usual slow-loading. So what does all this have to do with education? supports the focus on digital learning and identiﬁes the creative and productive use of technology as an indicator of a successful learner (Ministerial Council on Education, Employment, Training and Youth Affairs, 2008). The world of digital learning beckons, with opportunities for teachers and students alike to beneﬁt from the opportunities and capabilities a digital world offers. Embracing digital learning is not a choice for students or teachers to consider and adopt – it is the modus operandi; the way we do business. I think I learn better using technology than just sitting in the classroom and being told what to do because it gives me more ﬂexibility and responsibility. I’m in control of my own learning which enables me to learn how I best learn and get the most out of my learning experience. However, it is not just students that need support in this age of digital learning. Some teachers are comfortable in the digital learning space while others are still working to integrate the use of technology into their daily language and behaviours. In an environment where the digital space moves rapidly, teachers are also learners. Educators who participate in Twitter networks are well placed to support students in the use of relevant digital technologies because the Twitter community shares knowledge, resources and expert advice. Twitter bios often lead to professional blogs, wikis and other online platforms which openly share ideas and units of work. Students of all ages can learn how to learn in online learning environments such as blogs and wikis, for example, but Twitter is probably more suited to older students. Alexander’s post (February 9) testifies that Twitter is a powerful tool which can be used by more senior students to create and customise their learning network, and that this tool connects learning to a broad network people, as well as individuals who share specific interests. In a fast changing world, we should be aware of how important it is for our students to learn how to learn, so that they are confident players in a changing world . Unlike the passive consumption of information in the traditional teacher-centred classroom, students using Twitter become proactive in setting up and interacting with their customised networks. Two of the competences described by Haste are agency and responsibility, and finding and sustaining community. She points out that if students are encouraged to function as active agents interacting with their world, they will have to take responsibility for things, thus developing the confidence to deal with whatever comes their way. She also talks about the competency of finding and sustaining community – managing friends, developing social skills, and managing online communities where they encounter a multiplicity of people, have to deal with strangers, and are involved in the multi-tasking of connecting and interacting. They recognise that they are part of a larger community, beyond their private world. But how does the idea of students in charge of their learning and learning networks make us feel as educators? Are we also learning how to use social media to connect with a broad community, or do we feel uncomfortable with something which is foreign to us? How should we, as educators, react to evidence that our students are confident players in an arena we may not have stepped into, or in which we feel some uncertainty. In a time of rapid and constant change, it is my opinion that there is one overriding prerequisite for an educator to thrive, and that is, to possess the mindset of a learner. But do we really need to be connected as educators? Couldn’t we leave that to our students – after all, they have been born into a world where technology is embedded into almost everything they do. Can’t they work it out without us, while we go on with the business of teaching? There is no doubt that ‘new individual and collaborative skills are emerging’ thanks to new connective technologies. As educators we should practise the use of these and assist students and other teachers to do the same. well done on preparing something like this for Synergy. I look forward to reading the entire article. I had a degree of success with year 9 boys and Twitter in 2012. I introduced it to them in History, and I have kept some conversations going with some of them since. (For some reasons the girls were less interested). Year 12 and 11’s, to whom I usually teach History Revolutions, are not interested. My 226 year old daughter, who mocked me for years abut twitter use was visiting today and expounding its value both personally and professionally! Just a note, your link to John Connell is returning a message saying that his blog at that address is closed and suggesting two new ones. That’s interesting about the uptake of Twitter by the year 9 boys. I think if it’s not something that they need in real life then the success will be limited. I wonder what the attraction was to your boys. Sometimes it’s the personalities/preferences of the individual students. I’m assuming your daughter is 26 years old, haha. Your daughter and my 23 year old son (see previous post) are examples of how Twitter works for young people once they have something worthwhile to use it for, ie professional activities. I don’t think there’s anything better (or cheaper) than social media to organise events, for example, or advertise things. Yes, I realised that John’s post link isn’t working after I posted – it’s been a while since that post was written. Thanks for taking the time to repond to me. I don’t get many comments lately. I suppose I’ve lost connection to a close network. oops – she isn’t that old because that would make me incredibly ancient! I kept asking them why they took it up but they couldn’t articulate a response. I was amazed at the way one of them used it to network with a number of music technology people and companies to increase his own understanding. He made some amazing contacts, some of whom read his blog. I wonder if there is such a thing as a close network anymore. I am studying the new CSU Master of education (Knowledge Networks and Digital Innovation and finding the content challenging and stimulating at the same time. (It must be really hard for anyone who hasn’t been previously involved like you and I have been. (I didn’t understand categories in blogging then so it’s a bit hard to navigate. Might give you an idea! Thanks for those links, very interested in following. Your music student has displayed some very mature behaviour on Twitter – what a brilliant example! I would have loved to do the CSU Master of Education (if I didn’t already do Master of Education and Master of Arts – a third would have been ridiculous). I keep up with some of it on Twitter through the hashtag – isn’t that fantastic! I was thinking the same thing: there must be a discrepancy between people doing the course in terms of experience online. I envy you the fantastic resources and being under Judy’s direction, but not the essays!